Fairline Yachts announced in June 2018 that Simpson Marine would act as a new dealer partner for Hong Kong and the Philippines. With almost 35 years’ experience and twenty offices in seven countries, Simpson Marine is Asia’s leading yacht sales and services company. The regional head office for the group is situated in Hong Kong, which is also home to the company’s senior management and technical marine services team.In Hong Kong, Fairline was recently announced its express-cruiser F-line series. Other Fairline yachts popular in Hong Kong are the Targa range and the Squadron flybridge models. 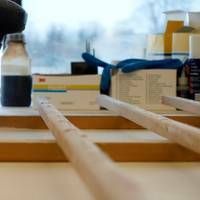 British luxury boat manufacturer, Fairline Yachts, has announced it is set to expand its manufacturing capabilities by adding a new 17,000 square foot production facility at Oundle Marina - the boatyard’s original location when it was launched 50 years ago. Fairline’s year of Golden Moments has started successfully across the globe, with the brand reporting strong sales at boat shows in the UK, Europe and the United States. 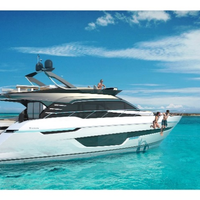 As a result, Fairline is expanding its production capabilities to accommodate the increase in demand. 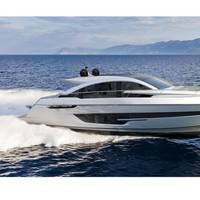 British luxury boat manufacturer, Fairline Yachts, has announced the third variant from its popular 53ft range, the Squadron 53, will have its US debut at Palm Beach International Boat Show from March 23-26 2017. 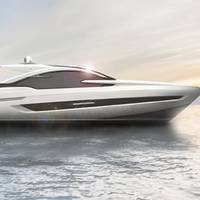 Alongside the US debut of the Squadron 53, which was launched in Europe at Boot Dusseldorf at the end of January, Fairline will showcase its limited edition 50th anniversary commemorative book together with an immersive virtual reality experience bringing to life its highly anticipated Targa 63GTO. British luxury boat manufacturer, Fairline Yachts, is celebrating one year since the all-new management team took over the boatyard. Under the leadership of a highly experienced marine industry management team, the company has employed 227 people, launched two new models (the Targa 53 OPEN and Squadron 53), updated the interior finishes across the 48ft model range, added a hardtop option and new interior to the Squadron 65 and unveiled plans for two highly anticipated and completely new boats. 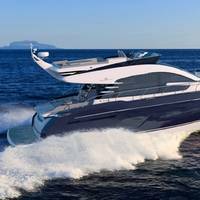 British luxury boat manufacturer, Fairline Yachts, releases the first computer generated imagery of its stunning new Squadron 53. The boat, which is the third variant from Fairline Yachts’ popular 53ft range, will be launched at Boot Düsseldorf on January 21, 2017. Renowned superyacht designer, Alberto Mancini, has added his design expertise to this new Squadron. 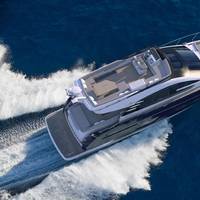 The boat is based on Fairline’s existing 53ft hull but features a new design from the deck upwards courtesy of Mancini, showcasing the future direction of Fairline’s exterior styling. British luxury motor yacht manufacturer, Fairline Yachts, announces Robert Hammond as its new International Sales Manager. 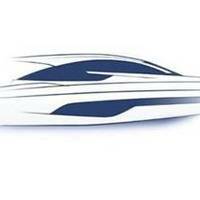 Robert will be responsible for Fairline's global sales operations and managing its worldwide dealer network. A former military pilot, Robert, has held similar roles in commercial aviation and corporate yachting, developing sales opportunities and managing client relations. Having lived, worked and sailed worldwide, Robert brings valuable experience in understanding the requirements of Fairline’s varied global customer base. 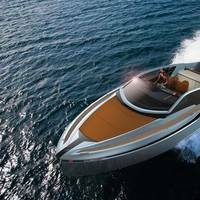 Fairline Yachts confirms its design future with the announcement of a new partnership and collaboration with Italian yacht designer Alberto Mancini and renowned Dutch naval engineers, Vripack. Fairline Yachts has today signed contracts with the Alberto Mancini Yacht Design studio in an exciting strategic move by the company to secure its collaboration to design new and innovative yachts that will surprise, excite and delight Fairline customers throughout the world. 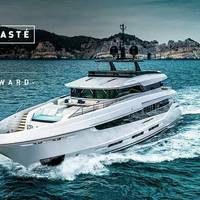 Andrew Pope, Head of Design at Fairline Yachts says, “Following an exhaustive selection process we are delighted to announce this design partnership.